Ex-President Goodluck Jonathan did not do anything for the South East, an All Progressives Congress (APC) governorship aspirant in Imo state Uche Nwosu has alleged. 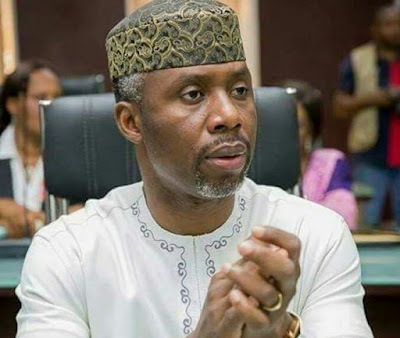 Nwosu also urged the Igbos to reject the Vice President slot being touted to be given to them by the opposition Peoples Democratic Party (PDP). He said this in reaction to President Muhammadu Buhari’s decision to run for a second term in 2019. According to him, the “Vice Presidential slot in any party including the PDP is a complete waste because what a President can achieve in one day, a Vice President cannot achieve in eight years. He continued that, "aside from the Igbo Presidency which the Buhari’s second term will secure for the Igbo, he has also done very well for the Southeast.“Take the second Niger Bridge for instance, work is going on and you can see it, not the fluke that was done by former President Goodluck Jonathan. The only man that talked about the Port Harcourt-Enugu road, the Onitsha-Enugu road, is President Buhari.